A wide range of wheel-chair accessible and disability requirement easy-access door thresholds and door sills; Many have curved upstands front and back to facilitate the passage of prams and wheelchairs. Trimline-Rio (Same size as the Trimline, but has the Hi-Tech "Rio" Seal. 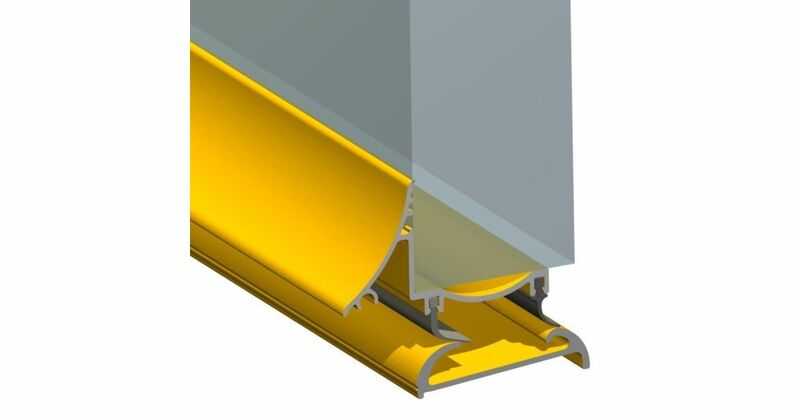 - We cannot exchange any Easy Access Sill once work has commenced; Metal Part-M Door Sill orders, & Direct Deliveries are supplied as a Special Order. Chargeable carriage weights of Stormguard Easy Access Door Thresholds are shown in Kg. To order online - Click add to Basket; To see your ongoing Order Total or to amend, click the Trolley Icon at the Top-RHS of the page in the Green Navigation-bar. E. & O.E. see T&C - We do try to keep prices and specifi­cations of Part-M Sills correct, but mistakes can be made! Please let us know if you do spot any errors - thanks.